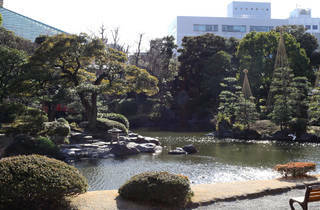 A Japanese garden right next to the Ryogoku Kokugikan sumo stadium, Kyu Yasuda was originally located inside the mansion complex of Honjo Munesuke, first lord of the Kasama domain. 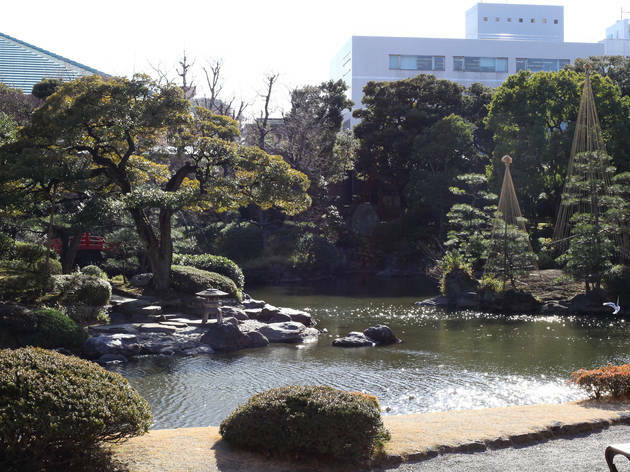 Having once drawn on the Sumida River's water for its lake and streams, recreating a tide effect inside the garden, it's beautiful year-round. High and low tides are now regulated manually, with river water no longer running into the park, but the effect remains worth a closer look.